Entrepreneurial Finance, Corporate Finance, Financial Intermediation. Debarshi Nandy is an Associate Professor of Finance at the International Business School of Brandeis University and an affiliated faculty member of the Department of Economics at Brandeis University. His research interests are in the fields of entrepreneurial finance and innovation, corporate finance, and financial intermediation. 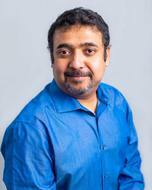 Nandy’s research has been published in leading journals in financial economics, such as the Journal of Financial Economics, the Review of Financial Studies, and the Journal of Financial and Quantitative Analysis. He is a visiting research fellow at the Boston Research Data Center of the Center for Economic Studies of the U.S. Census Bureau and the National Bureau of Economic Research, and has received multiple research grants, both from the National Science Foundation in the U.S. and the Social Sciences and Humanities Research Council of Canada. He is also a mentor and advisor to several startups in the greater Boston area. Nandy holds a BSc (Hons) and M.Sc. in economics from the University of Calcutta, India, and a PhD in finance from Boston College. Nandy, Debarshi K, Chemmanur, T, He, S. and He, J. "Product Market Characteristics and the Choice between IPOs and Acquisitions." Journal of Financial and Quantitative Analysis 53. 2 (2018): 681-721. Nandy, Debarshi K, Dai, Rui., Massoud, Nadia., Saunders, Anthony.. "Hedge Funds in M&A Deals: Is there exploitation of Private Information?." Journal of Corporate Finance 47. December 1, 2017 (2017): 23 - 45. Nandy, Debarshi K, Feng, Yi, Tian, Yisong. "Executive Compensation and the Corporate Spin-off Decision." Journal of Economics and Business 77. January-February, 2015 (2015): 94 - 117. Nandy, Debarshi K, Krishnan, Karthik, and Puri, Manju. "Does Financing Spur Small Business Productivity? Evidence from a Natural Experiment." Review of Financial Studies 28. June (6) (2015): 1768 - 1809. Nandy, Debarshi K, Thomas Chemmanur, An Yan, J. Jiao. "A Theory of Mandatory Convertibles." Journal of Banking and Finance 42. May 2014 (2014): 352-370. Nandy, Debarshi K, Thomas Chemmanur, Karthik Krishnan. "The Effects of Corporate Spin-offs on Productivity: A Plant Level Analysis." Journal of Corporate Finance 27. August 2014 (2014): 72-98. Nandy, Debarshi K, Gordon Roberts, Li Hao. "How Bank Regulation and Lender Location Influence Loan Pricing." Journal of Financial and Quantitative Analysis Vol. 6, December 2012. 47 (2012): 1247 - 1278. Nandy, Debarshi K, Nadia Massoud, Keke Song, Anthony Saunders. "Do Hedge Funds trade on Private Information? Evidence from Syndicated Lending and Short-selling." Journal of Financial Economics 99. 3 (2011): 477 - 499. Nandy, Debarshi K, Thomas Chemmanur, Karthik Krishnan. "How does Venture Capital Financing Improve Efficiency of Private Firms? A Look beneath the Surface." Review of Financial Studies 24. 12 (2011): 4037 - 4090. Nandy, Debarshi K, Thomas Chemmanur, Shan He. "The Going Public Decision and the Product Market." Review of Financial Studies 23. 5 (2010): 1855 - 1908. Nandy, Debarshi K. "Why do Firms Denominate Bank Loans in Foreign Currencies? Evidence from Canada and U.K.." Journal of Economics and Business 62. 6 (2010): 577 - 603. Nandy, Debarshi K, Steven Dennis, Ian Sharpe. "The Determinants of Contract Terms in Bank Revolving Credit Agreements." Journal of Financial and Quantitative Analysis 35. 1 (2000).